Florida author Jack Rosewood inherited his fascination for heinous crimes from his father, a journalist covering major grim crimes such as Ted Bundy. He is fascinated with serial killers – their development psychologically, their preparation for their life of crime, and the details of how they made their bloody black marks on the world. Jack moves away from his intensive studies of serial killers to explore strange crimes most of which are discoveries for the reader – even the Jack Rosewood reader! As usual Jack opens with an introduction explaining the decision to place these gruesome stories before us: ‘From July 1979 until May 1981, the city of Atlanta, Georgia was subjected to a state of terror by a relentless and sadistic serial killer who preyed primarily on black boys and young black men. By the time the reign was over, twenty-eight children and young adults were dead. Americans in general were shocked, and the people of Atlanta were traumatized. Atlantans were used to a certain amount of crime, but not of the magnitude or type they had experienced during that period. The case became officially known by law enforcement and legal experts as the “Atlanta Murders of 1979-1981,” but was referred to more colloquially as the “Atlanta Child Murders”, due to twenty-two of the victims being under the age of eighteen. By the time the case was over, it had proved to be like none other in American history. One of the most intriguing, and at the time terrifying aspects of the Atlanta Child Murders was that it took place in “real time.” In most cases, it is not revealed that an offender is a serial killer until after he or she has been captured – law enforcement often don’t even know that they have a serial killer on their hands. This was not the case with the Atlanta Child Murders. After the first few cases, the local media began to report on the abnormally high number of black boys who were missing in Atlanta. When their bodies started turning up in vacant lots and wooded areas, national media outlets picked up the case, placing extreme pressure on local law enforcement. The enhanced media scrutiny also led to mobilization by members of the black community, who believed that they were not adequately served by law enforcement since all of the victims were black, which was no doubt partially the result of Atlanta being a symbol of the “Old South”. Atlanta definitely had a recent history that was associated with segregation and organizations such as the Ku Klux Klan, but by the time of the murders it also had a black mayor and a majority black city council. In other words, the racial dynamics surrounding the case were complex at times. As the Atlanta serial murders progressed and politics entered into the equation, a task force was created to catch the killer. 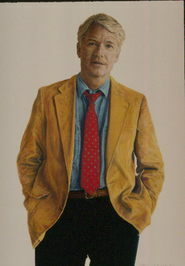 The FBI gave assistance to the GBI (Georgia Bureau of Investigation) as well as Atlanta, Fulton County, and Dekalb County law enforcement agencies. With over 100 agents working fulltime on the task force, it was only a matter of time until the serial killer was captured. And when Wayne Williams finally was arrested, many people were surprised. When the first media reports began to surface with Wayne Williams’ name and picture in June 1981, he looked far from what most think of as a serial killer. The slightly overweight, glasses-wearing twenty-three-year-old Williams looked more like a computer nerd than a serial killer. And he was black. 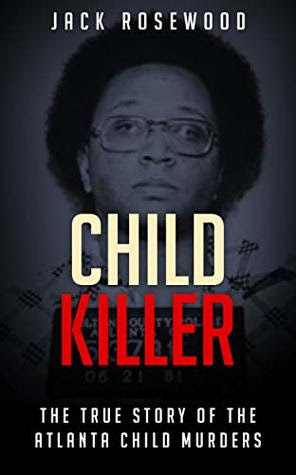 Jack manages to outline the various heinous murders at the hand of Wayne Williams, but at the same time he places before us the explosive concept of serial murders of black children by a black man – a subject for consideration and controversy that comes as a surprise. This is yet another extremely fine journalistic examination by Jack Rosewood.